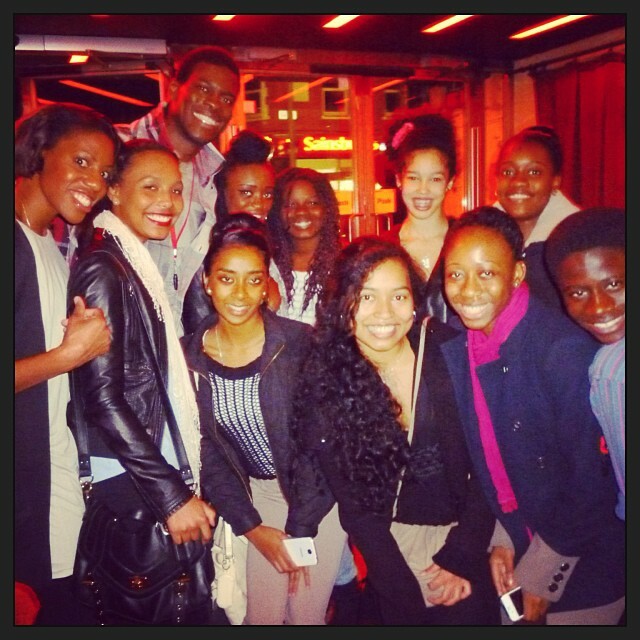 We went to watch the musical, Scottsboro Boys, at the Young Vic and it was AMAZING! A very emotional story about nine young black boys who get accused of a crime in 1931 in Alabama, USA. It's based on a true story and the dancing and singing from the cast were outstanding. Like true groupies, we even managed to get a few sneaky pics with the cast after the show much to the delight of the dancers. "Kander and Ebb’s exhilarating, dazzling and provocative musical receives its UK premiere, once again directed by Susan Stroman, 5-time Tony Award-winning director and choreographer of The Producers. 1931. Nine black teenagers board a train in Scottsboro, Alabama, in search of a new life. By the end of their journey, their lives – and those of every American – would be changed forever. Accused of an unspeakable crime, their trial would divide a nation. But behind the screaming headlines was the devastating story of nine young men, desperate to prove to the world that they mattered. Nominated for a remarkable 12 Tony Awards including Best Musical, The Scottsboro Boys is bold, wildly inventive and a daring modern classic of musical theatre. Step right up and meet the Scottsboro Boys. Their story will change everything…"